Ordinarily, it's not really fair to criticize a new release for failing to live up to a milestone of the art-form. Classics come with too much baggage, and have had the benefit of time to saturate the public consciousness and become something larger and more important than a mere motion picture. 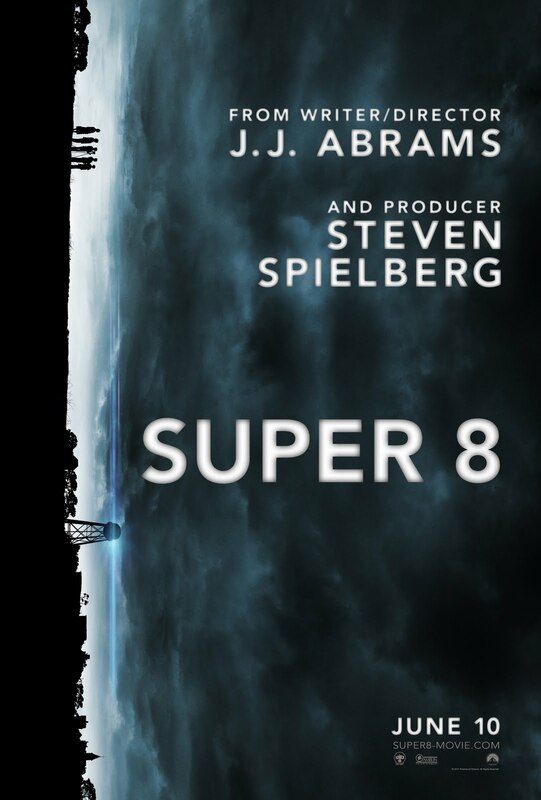 So, what then to make of J.J. Abrams' Super 8, a reasonably efficient thrill-ride nostalgia trip that so desperately wants to stand on the shoulders of giants and invite warm comparisons to watershed Spielberg masterpieces such as Close Encounters of the Third Kind and E.T.? How can one clearheadedly judge a film that so blatantly muddies the waters by mining its most effective elements from treasured memories of the past? I'm not sure it's possible. For some, Super 8 will be held in high regard purely for its uncanny ability to tap into the nostalgic mindset of its audience. This is a film that seems determined to make ticket-buyers wistfully yearn for childhoods they never actually had. That's not necessarily a fault of the picture, so much as a statement of its obvious intent. I heartily enjoyed the majority of my time spent in the film's idyllic 1979 setting, surrounded by its Goonies-like gaggle of precocious film buffs, but, leaving the theatre, I couldn't help but feel a little let down that the film didn't swing for the fences. When Spielberg blazed new ground with material like this, he infused it with passion, intelligence and tingle-inducing wonder. He created films you didn't just watch, you experienced. Abrams, on the other hand, doesn't have the same drive for innovation or grandeur, and never quite manages to fully immerse us in his world. It's a fun entertainment, but not a whole lot more. Set in the sleepy Ohio suburbs, Super 8 stars impressive newcomer Joel Courtney as Joe Lamb, a sensitive 12-year-old recovering from the loss of his mother, who died in a tragic mill accident. Obsessed with monsters, movie make-up and homemade model kits, he's in the midst of shooting a super 8 zombie movie with his friends and rebellious crush Alice Dainard (Elle Fanning - a dead ringer for a pre-teen Drew Barrymore) late at night, when a cargo train mysteriously, not to mention explosively, derails. Soon, the military - who enter the picture as ominous flashlights in the night ala E.T. - are swarming the area looking for... something. As the kids continue to assemble their project, strange occurrences begin to happen around town; dogs start running away. Electricity flickers on and off. Something is out there and its just a matter of time before Joe and his friends run headlong into it. Naturally, if there's one thing almost every Spielberg work has in common, it's aloof father figures. Super 8 completes the homage package by supplying not just one of these all-important characters, but two! Joe's stern, grieving deputy sheriff father (the always welcome Kyle Chandler) urges his son to grow up and consider new hobbies, while Alice's deadbeat alcoholic dad (Ron Eldard) carries a shameful secret of his own; one which threatens to disrupt the slowly emerging romance between the two tweens. Boldly confident from the get-go, Super 8 works best during its first hour, as we get to know and understand the kids and their little isolated universe. Abrams' script makes a wise call early on in delaying the kids inevitable involvement with the supernatural elements of the story until the third act. Sure, they're present for the fiery train-wreck - which is grand in scale but not as convincingly rendered as I suspect the filmmaker thinks it is, given how long he milks it on-screen - but soon their attention turns back to that which is most important to them; namely, their movie. Many screenwriters have failed miserably writing kids, but Abrams understands the innocent self-absorption that comes with that age, and implicitly realizes that, for them, making a movie isn't just a pleasurable activity, it's everything. As he proved in his previous filmic forays, Star Trek and Mission: Impossible III, and high profile television work, Abrams posesses one of the canniest eyes for casting in the business. To his great credit, there is not a single child actor in the film who rings false. Courtney and Fanning ably share most of the spotlight, and generate the picture's most powerful dramatic fireworks, but the supporting cast is no less colourful. Riley Griffiths, as the crew's wannabe director, possesses just the right amount of gusto and bossiness, while Gabriel Basso, as the over-anxious leading man, earns the film's biggest laugh during an action sequence involving a bus. Ryan Lee, who boasts some truly daunting dental wear, is also delightfully true-to-life, playing that kid we all knew who never went anywhere without a lighter. These characters are an utter joy to spend time with and, unlike in Richard Donner's often tiresome The Goonies, their non-stop, overlapping chatter is funny, honest and comprehensible. I really wish the film didn't trip so badly over itself once it introduces its otherworldly co-star. Had it played a less prominent role in the emotional pay-off of the film, it would be far less problematic than it is. Plainly put, Super 8's creature is a dud. Over-designed, poorly explained and always obscured by darkness (likely to hide the fact the CG is less than stellar), it's a generic non-entity in a film that requires us to care about it to truly triumph. Remember E.T.? He was both a brilliantly nuanced character, as well as a poignant metaphor for Elliot's impending loss of childhood. This movie's mysterious being has neither a personality nor clear thematic purpose. Worse, it's appearance in the third act disrupts the natural flow of the other story threads, leading to a rushed finale that badly undercuts the movie's grand attempt at a tear-jerking final moment of awe. Spielberg knew when to pace himself and let the audience bask in his fantastic images and sounds, whereas Abrams seems over-eager to wrap everything up as fast as possible and fade to black. Yet, despite not succeeding at meeting the standards set by its influences, there's still plenty to recommend Abrams' quirky little film beyond the performances. There's so much love in each and every frame - from the kids' elaborately designed rooms, full of geeky little touches and period detail, to the quiet minutiae of small town life and, my personal favourite, the beautifully evocative shots of the spellbinding night sky - that it’s impossible to resist falling prey to the picture’s gentle whimsy. 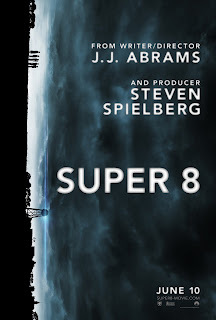 As a cinematic journey, Super 8 may fall short of the stars, but it's nonetheless a journey still worth taking. P.S. : Make sure to stick around during the credits to see the kids' completed super 8 movie. It just may be the most charming sequence in the entire film.